Over the years our attorneys have developed good working relationships with lawyers and court personnel in Laclede County, as well as other counties in Missouri. Our attorneys are well known and well respected in the community, and we can help you feel like an insider in the legal system. No matter what you need, you should choose an attorney carefully. Contact us to discuss your case and how we can help. Feel free to call us day or night, at (866) 228-4995 or (417) 532-8300. 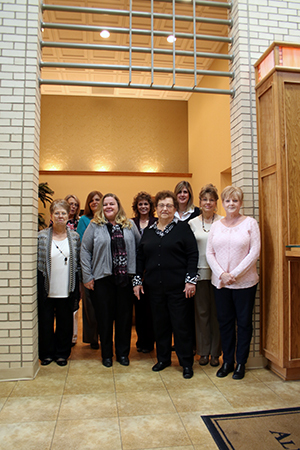 We have a full-time offices in Lebanon, Laclede county, and a part-time office in Waynesville, Pulaski county. We can help anyone in the Missouri area. 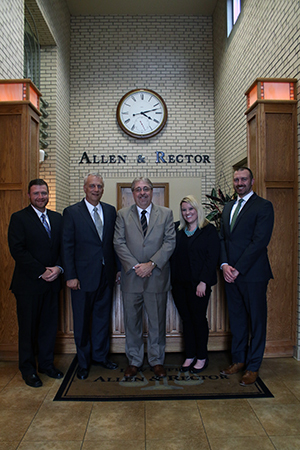 We have used Mr. Allen as our attorney on many occasions he and his staff are very professional and very personal we would not use any other attorney or law firm and we refer him to anyone who would need a attorney. Christopher Allen helped get my case dismissed by the court. When I came to him with my problem he listened, gave me advice, and immediately told me he would help me for a flat rate with a court date less than a week away! Thanks! I met with Mr. Allen regarding difficult custody issue. I was unsure and unaware of my legal rights. He was very upfront and honest with the situation. I found him easy to talk with as he listened to my questions and gave me answers in a way I could understand. He worked with me and encouraged me. He is hard working professional with a caring side. If I would of hired anyone else I would of lost. We now have a new chance for a new life. Divorce is a horrible thing to have to go through. I came to J. Allen feeling hopeless and afraid. He is professional and really knows how to provide people with the exact legal help they are looking for. Chris Allen is an amazing Lawyer, I would highly recommend him. Chris Allen is a very caring, very professional, he is honest, very easy to talk to, and takes all of his cases very serious! He is a great leader, but most of all he is a great Christian. I would highly recommend him as a lawyer, he is very proficient in custody law. Chris Allen is the most highly recommend Lawyer I know, Chris takes his job very serious , he is a very honest, caring , and very easy to talk to . He only gives good advice, and as a person he really cares about his clients, Chris is a great leader, And most of all he is an amazing Christian! Mr. Allen went above and beyond at fighting my case inside and outside the courtroom! He kept me informed on what was happening with my case through emails, phone calls, and regular mail. He charges reasonable prices for fees in my case and works at making sure a person gets the best defense possible!